According to the American Lung Association, smoking is the number one cause of preventable disease worldwide. In 2004, smoking cost the U. S. over $193 billion, including $97 billion in lost productivity and $96 billion in direct health care expenditures – an average of $4,260 per adult smoker. It’s been linked to a wide range life-threatening medical conditions, including: lung disease, heart disease, diabetes, emphysema and various types of cancer. Most experts agree that the laundry list of toxic chemicals found in cigarettes, including over sixty cancer-causing carcinogens, are the primary cause of most of these diseases. So if electronic cigarettes lack these harmful chemicals, why is everyone focused on regulations and not the billions of dollars we could save on healthcare costs? Unlike traditional cigarettes which contain over 4,800 chemicals, electronic cigarettes consist of only four main ingredients: propylene glycol, vegetable glycerin, nicotine and added flavoring. FDA-approved and widely considered safe, these ingredients are used in thousands of products that we use everyday, including in the foods we eat and in the products that we wear on our skin. In particular, propylene glycol, the base ingredient used in most e-cigarettes, has been approved by the FDA for a variety of purposes, including as a vapor in asthma inhalers and theatrical smoke machines. Numerous studies have proven that e-cigarettes contain significantly less chemicals than tobacco, and harmful toxins are nearly untraceable, well within government approved safety limits. Although electronic cigarettes are relatively new to the marketplace, studies continue to support the fact that they’re a much safer option than smoking. For now, it’s impossible to know the long-term impacts; but common sense tells most people that with the elimination of so many cancer-causing agents, the smoking-related health risks must also be significantly reduced. Our findings are consistent with the idea that substituting tobacco cigarettes with e-cigarettes may substantially reduce exposure to selected tobacco-specific toxicants. So why is there such a strong push to regulate and tax these helpful devices, which are not only safer than cigarettes, but have been proven to help smokers quit? Several states including Utah, North Dakota, Arkansas and New Jersey have already passed anti-vaping legislation that limits where e-cigarettes can be used, and countless others such as California and Massachusetts have pending legislation to do the same. In addition, some states are proposing hefty new taxes. Minnesota recently implemented a 95% wholesale tax, making e-cigs subject to higher taxes than regular cigarettes. New York is proposing a similar tax, and several other states are attempting to tax electronic cigarettes just like tobacco. With such a new and controversial product, it’s understandable that some people are concerned about e-cigs, especially since the public has been overwhelmed with anti-smoking propaganda for years. People blindly assume that electronic cigarettes are unhealthy or pose public health risks simply because they’re being inhaled and used like regular cigarettes, but this is simply not true. 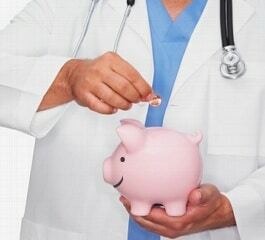 The truth is, health concerns aren’t the primary reason for the push to impose new taxes. Government officials have undoubtedly viewed the research and know that e-cigarettes are much safer than cigarettes, but they’ll loose billions of dollars in tax revenue if smokers make the switch, draining their already dwindling coffers and leaving budgetary holes that will be difficult to fill. Revenue losses are a legitimate concern for federal and state governments, but what about the long-term impact of encouraging smokers to switch to electronic cigarettes? Couldn’t these entities makeup for the lost tax revenue with reduced healthcare expenditures? By over-regulating and taxing electronic cigarettes, we’re not only discouraging electronic cigarette use, but we’ll miss out on a huge opportunity to improve public health and reduce medical costs. We Could Generate Billions – Without Taxes! For argument sake, let’s assume that every smoker in the United States switched to electronic cigarettes. And even though they contain virtually none of cancer-causing chemicals, let’s make a conservative estimate that half of all smoking-related diseases could be eliminated. 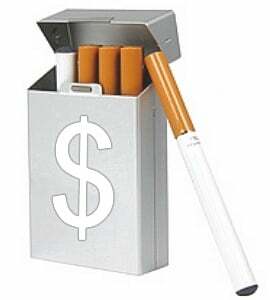 This would lead to a savings of $96.5 billion annually – half of the $193 billion spent due to smoking in 2004. Now consider the taxes generated from tobacco. Since 2004, tax revenue collected from cigarettes has skyrocketed. In 2004, federal, state and local governments collected a total of $23.8 billion from cigarette taxes. Since then, tax revenue has nearly doubled, with $36.5 billion collected in 2012. It doesn’t take mathematician to see which option is better in the long-run. We could continue collecting $36.5 billion each year by passing along tobacco taxes to e-cigs, or we could save $96.5 billion annually by encouraging smokers to quit and use e-cigarettes instead. That extra $60 billion could be used to improve our healthcare system, education or a whole host of other areas. Taxes and strict regulations certainly aren’t going to inspire people to switch, and with limited access, reduced options and higher prices, many smokers are likely to stick with their trusty cancer sticks. I don’t think there is any question that promoting electronic cigarettes as a tool for smoking cessation would save substantial money on health care expenditures. Smoking is a major contributor to high health care costs and cutting smoking rates would substantially reduce these expenditures. Some financial analysts have predicted that electronic cigarette sales could eventually surpass cigarette sales. If this occurs, it would be a huge public health accomplishment, not only in terms of money saved, but also in terms of lives saved. The FDA still hasn’t chimed in on the issue, but a decision about new regulations is expected shortly. Although many states have done so already, most people expect federal age restrictions to be put in place to prevent sales to minors – something that most of us can agree on. The big debate is whether or not e-cigarettes should be defined as tobacco products, which would open the door to the same strict regulations put on the tobacco industry. Many believe this would essentially kill the electronic cigarette industry as we know it. Rather than having a huge selection of products and a wide variety of low-cost and flexible options – smaller e-cig suppliers would be put out of business and big tobacco companies such as Lorillard, maker of Blu brand e-cigarettes, would dominate the market. Prices would increase dramatically and consumers would loose access to a huge range of products. The tide seems to be turning against the e-cig industry, despite the fact that electronic cigarettes offer so many benefits over traditional cigarettes and are exposing smokers to significantly less risk. It’s a shame that government officials aren’t considering the benefits to public health or the long-term savings we could enjoy if we encouraged e-cigarette use – rather than discouraged it. Fifty-one percent of Medicaid recipients smoke, whereas only 21 percent of the general public smokes. Reducing the use of traditional cigarettes among the Medicaid population could save states billions of dollars in health care costs from tobacco-smoking-related illnesses.